For companies with sales vehicles and light trucks, preventing one fender bender per year per vehicle can amount to many thousands of dollars of savings. For far less than the cost of a replacement bumper, backup sensors give drivers advance warning of obstacles in their path. Color coated sensors blend with the paint of many vehicles, and look like factory equipment. Movin’ On GPS sells and installs a variety of backup sensor systems to suit the needs of commercial fleets. Dashboard displays will even show the distance of the vehicle and approaching obstacles, while audible alerts define the approximate distance with increasingly frequent chirps. It’s never too late to start preventing expensive damage to your fleet. Backup sensors pay for themselves quickly, and integrate with any vehicles you may have. 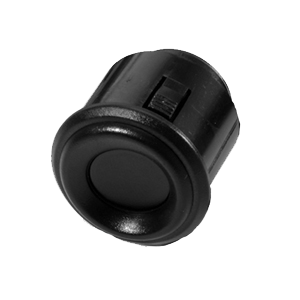 For larger heavy duty vehicles, visit our Commercial Heavy Duty Backup Sensors page.